A UK commercial from Thorn EMI promoting the use of their Computer Software from 1985. Thorn EMI was a major British company involved in consumer electronics, music, defence and retail. It was created in October 1977 when Thorn Electrical Industries merged with EMI to form one of the largest operating companies in the United Kingdom. The Commodore 64 is an 8-bit home computer released by Commodore International in August, 1982, at a price of US$595. Preceded by the Commodore VIC-20 and Commodore MAX Machine, the C64 features 64 kilobytes (65,536 bytes) of RAM with sound and graphics performance that were superior to IBM-compatible computers of that time. 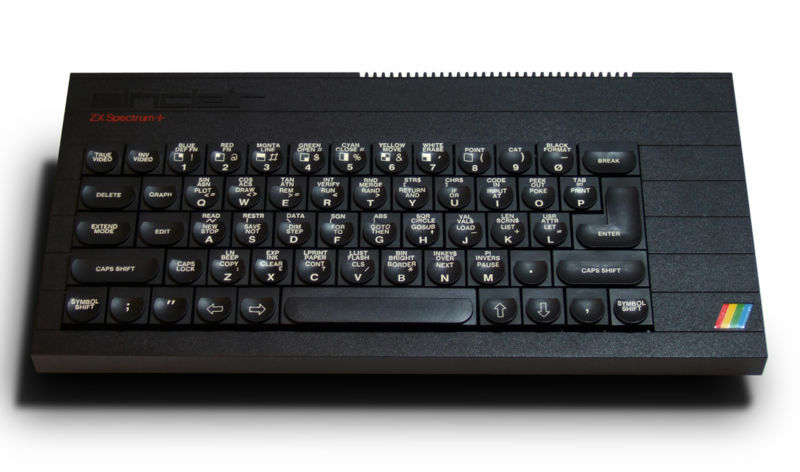 The Commodore 64 is commonly referred to as the C64 or C=64 and occasionally known as CBM 64 (Commodore Business Machines Model number 64), or VIC-64. It has also been affectionately nicknamed the “breadbox” and “bullnose” due to its shape. During the Commodore 64’s lifetime sales totaled 30 million units, making it the best-selling single personal computer model of all time. For a substantial period of time (1983/84/85), the Commodore 64 dominated the market with approximately 40% share, even outselling IBM PCs and Apple computers. Sam Tramiel, a former Commodore president said in a 1989 interview “When I was at Commodore we were building 400,000 C64s a month for a couple of years.” Part of its success was due to the fact that it was sold in retail stores instead of electronics stores, and that Commodore produced many of its parts in-house to control supplies and cost. For more information on the Commodore 64 visit Wikipedia. The Atari 2600, released in October 1977, is the video game console credited with popularizing the use of microprocessor based hardware and cartridges containing game code, instead of having non-microprocessor dedicated hardware with all games built in. The first game console to use this format was the Fairchild Channel F. However, it was the Atari 2600 that made the plug-in concept popular among the game-playing public. A Sinclair Spectrum 48k & Sinclair Spectrum 48k + Advert from the 80’s.